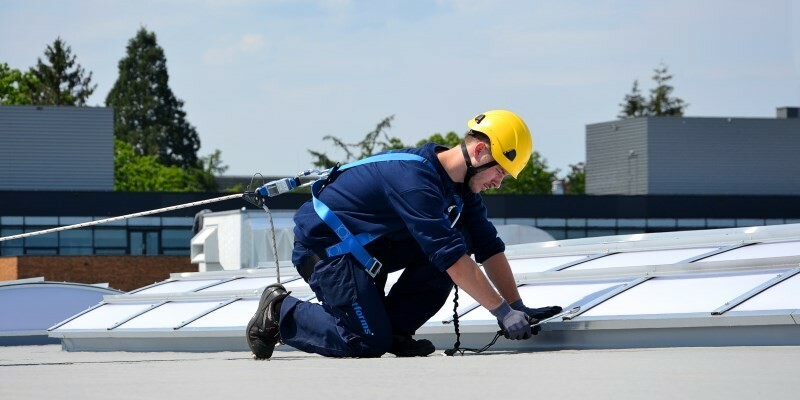 Typically workers have some form of fall protection in place to ensure their own safety while tasks are executed at height. However the equipment and materials they use at height can also pose risks. In a previous blog we talked about the dangers of falling objects. Now we would like to dive into the subject of securing tools while working at height. Working at height almost automatically means working with equipment, from a simple wrench to heavier power tools such as drilling machines. But everything that is brought to height has the potential to become a hazard. After all it only takes a moment of unawareness to lose your grip on something and for gravity to do its work. And the higher you are, the harder the drop. Accidentally dropping equipment from a height poses two great dangers. First, the tool falls down and has the potential to hit something, or even worse someone. Dropped objects are one of the top causes of workplace fatalities and injuries from fallen tools are often severe. The second danger a dropped tool presents are our own reflexes. When we drop something we have the inclination to catch it. At height this can be a dangerous reflex that could have you falling after your tool. 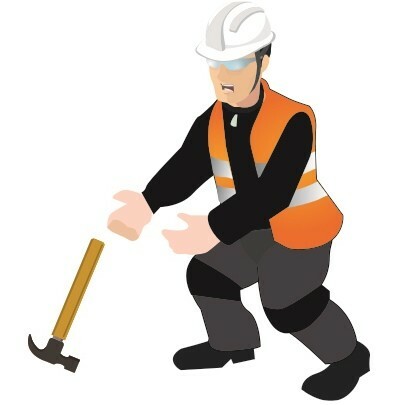 A worker that drops a tool or piece of equipment will often have to retrieve that item before being able to return to their task. But tools generally don’t fall conveniently, they may fall long distances, into places where retrieval is impossible or even into machinery. So next to a negative impact on productivity, tools may need to be replaced and damage caused by the dropped equipment needs to be repaired. 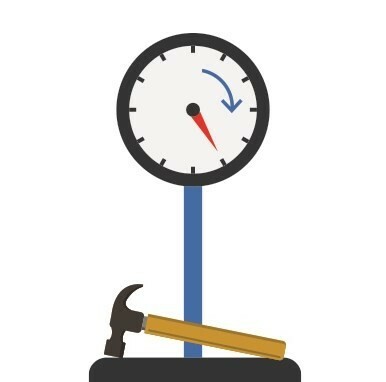 Dropped tools cost money, whether it is because a falling hammer damaged a (new) roof surface or because the tool struck a person in the shoulder. The best thing to do is prevent tools and equipment from dropping all together, or arresting them when they do slip from a worker’s hand or tool belt. A good way to stop tools from falling is tool tethering and installing toe boards. Although this is not a new concept, it isn’t a wide spread use yet. A tool tether is an attachment point, for example a D Ring, that allows the tool to be secured with a tool cord to an anchor point. An anchor point can be a wristband, work belt, harness or part of the structure that’s being worked on. Determine what tools and equipment are used on the jobsite, which of them are used at what height and which ones poses a potential fall hazard. The weight of the tool determines what kind of tethering devices and anchor points can be used. Tools that weigh more than 2 kg (approx. 5 lbs) should, generally, not be tied off to a person, but rather to the structure. If tying off tools to you or building is not an option, take care to install collective fall protection measures such as toe boards. 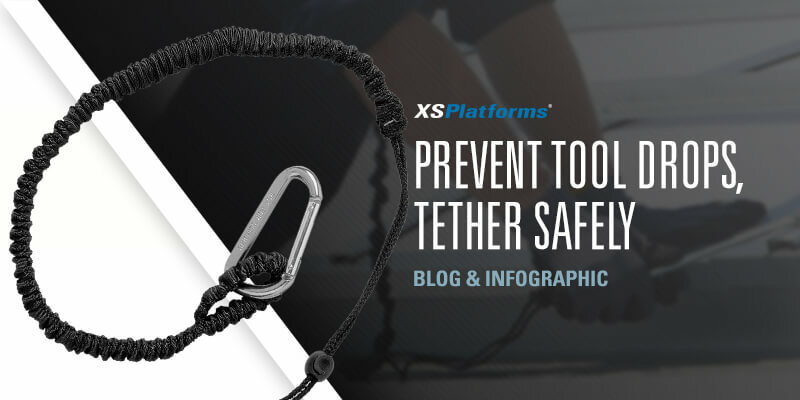 The tethering devices should not limit the use of the tool, otherwise the tether will be an obstruction and nuisance to the worker, which will make it tempting to not secure the tool. You need to determine how far you need to be able to reach with the tool to be able to perform the work. Then determine the fall clearance, e.g. the distance between your anchor and the nearest object or person below. You should choose the shortest lanyard possible to do the job, or chose a retractable tool lanyard, to prevent snag hazards. Lastly, you’ll need to determine if tools need to be passed off to other workers, this influences the connector options. For example, if tools need to be passed off frequently you should work with carabiners. Additionally passing on tools should be done safely, preferably while standing still in a safe zone, and not while handing outside of a scaffold or over an open structure. Securing tools with lanyards and in containers will pay off by eliminating damage to equipment, reducing time lost and most importantly preventing injuries or deadly accidents. Knowledge, logical thinking and common sense are key, also when it comes to tool tethering. Workers who understand the dangers of drop hazards, who know how to use their safety equipment and who understand their responsibility are more likely to adhere to safety rules. This is why training is important for good prevention. Next to proper training, dropped object toolbox talks can help keep the topic top of mind. But workers also need to think about the people below them, and take responsibility to keep them safe. We’ve put together some tool tethering tips for you to print out. Download them here.